Freedom and Flourishing: Does Henry George have the answer to funding basic income? Does Henry George have the answer to funding basic income? The idea of a government-funded basic income or social dividend has been around for at least a couple of centuries. It has been supported by some prominent advocates of individual liberty as well as by collectivists. For example, it was proposed as an alternative to existing welfare systems by Milton Friedman in the 1960s (as a negative income tax) and by Charles Murray (as an unconditional basic income for all adults) in In Our Hands, published in 2006. More recently Elon Musk among others, has suggested a government-provided unconditional and universal basic income (UBI) as a solution to the hypothetical problem of ensuring that people have adequate incomes when their jobs are displaced by automation. That problem is hypothetical because it seems reasonable to expect - at a national level and over the longer term - that jobs displaced by automation will be replaced by more highly paid jobs. That is what happened with jobs displaced by mechanisation during the 19th and 20th centuries. No persuasive evidence has emerged to support the view that the effects of automation will differ in that respect. Nevertheless, UBIs might appear to be an attractive social/political insurance policy, just in case automation does result in widespread loss of income-earning opportunities. The idea that one day most of the population will depend on UBIs as their main source of income strikes me as inherently unappealing. Historically, individual human flourishing has been closely related to the self-respect that comes from earning a living, which is absent when people are able to live on “sit-down money” – an appropirate term used by some Australian aborigines to describe welfare benefits. Robert Colvile has provided references to research relating to disincentive impacts of UBIs in a recent FEE article. I want to focus here on a question of practicability: Is there some easy way for a government raise sufficient additional revenue to fund a UBI to reinforce expectations that the benefits of future economic growth will be widely shared? How could substantial additional revenue be raised without stifling the economic growth process? As I contemplated those questions the thought crossed my mind that if I was back working in the Australian public service (heaven forbid!) and was asked to recommend a way to raise more tax revenue, I might suggest more reliance on taxes on the unimproved value of land, as proposed in Australia's Henry report, and as suggested much earlier by Henry George in Progress and Poverty (first published in 1879). Land taxes get a fair amount of support among economists, including some who write for The Economist. At some point it occurred to me that I should actually read Progress and Poverty – or at least, the 2006 version, edited and abridged by Bob Drake – rather than rely on second hand reports. 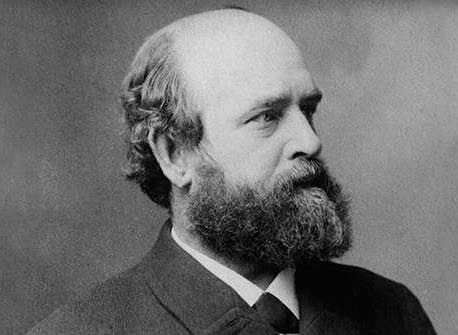 As I read about Henry George’s theory of wages and interest it became clearer to me why he was viewed as a crack-pot by some of the people who taught me economics. For example, by rearranging the identity, Production = Rent + Wages + Interest, he concludes: “wages and interest do not depend on what labour and capital produce – they depend on what is left after rent is taken out”. Of course, if you rearrange the terms another way, rent would appear as the residual after payment of wages and interest. Modern economists should not be overly critical, however, because George wrote Progress and Poverty before John Bates Clark had made his contribution to the marginal productivity theory of distribution - and Clark apparently attributed his conception of the marginal productivity of labour to George’s theory of rent. Henry George provides an interesting discussion of the way site rent rises with economic development. He asks readers to imagine a vast unbounded savanna. Every acre seems as good as any other for the first family to arrive, so they make a home somewhere, anywhere. When other families arrive, one location is clearly better than the others, that is close to the family that has already settled. Having a neighbour provides opportunities for the families to help each other. As more people arrive, a village is established to enable people to obtain advantages from local specialization and trade. As the village grows into a town and then into a city, the productivity of the original land increases. As a consequence: “Rent – which measures the difference between this increased productivity and that of the least productive land in use – has increased accordingly”. The original owners of the land become rich “not from anything they have done, but from the increase in population”. George recognised that advances in technology, improvements in manners and morals and government policy reforms (e.g. free trade) also increase the productivity of land, and increase rents. “When all rent is taken by taxation for the needs of the community, equality will be attained. No citizen will have an advantage over any other, except through personal industry, skill, and intelligence. People will gain what they fairly earn. Only then, and not until then, will labor get its full reward, and capital its natural return”. Henry George was correct to argue that, from an economic efficiency perspective, rent taxes are superior to most other taxes because they have a smaller impact on productive effort and investment. However, it is hard to see how a large increase in land taxes could be viewed as providing an equitable sharing of tax burden. Consider two people who have equal wealth, the wealth of A is in entirely in land and the wealth of the B is entirely in shares in companies that do not own land. Would you view it to be equitable for a government to introduce a tax that would take away a large slice of the wealth of A, while leaving the wealth of B unaffected? Perhaps that inequity could be overcome by announcing that the new land tax will only apply to future increases in land values. However, the deadweight costs of a tax on future increases in land values would not be negligible. For example, consider a firm that is planning to build a very fast train and considering whether a stopping point along the route should be at City X or City Y. The firm is buying land along the route because it needs to capture some of the expected appreciation in land values to make its investment worthwhile. The firm’s investment appraisal suggests that City X would be the best location. However, it subsequently learns that City X is contemplating a substantial tax on future increases in land values, while City Y has no such plans. That information obviously has potential to tip the balance in favour of City Y, resulting in a less efficient allocation of investment. The potential deadweight costs of land taxes have been explored in more depth by others, including Bryan Caplan and Zachary Gochenour. My bottom line: Land taxes are better than many existing taxes (much better than taxes on land transfers) but they don’t offer a costless way to fund the substantial additional revenue that would be required to fund an unconditional basic income sufficient to meet reasonable expectations of a widely-shared dividend from future economic growth. If land taxes can’t do it, I doubt whether any tax-transfer proposal can achieve that objective. One way or another, even when robots do most of the work currently done by humans, humans will still need to earn the bulk of the incomes they live on - including by inventing and improving robots, servicing and managing them, and owning them. 1.) I think I disagree with you about whether earning a livelihood is essential to living a good, dignified life. At the very least, this seems to betray a bourgeois sentiment that is shared by people who don't have to tolerate daily drudgery. Can one really argue that there is something uplifting about toiling in a coal mine in order to earn a paycheck vs. having that coal mining job automated and simply receiving a UBI? I'm frankly dubious. You'd earn the same amount of money in either case and, in the second case, the worker's overall utility would be higher because he could spend his time doing other things. Now, to be clear, I don't think a UBI is a perfect idea. But I do think it will almost certainly be necessary. If you believe the studies coming out of the Oxford Martin School, then something like 50% of jobs will be automated in the next 2-3 decades. Moreover, the people most susceptible to job loss are typically those persons who will be incapable of finding alternate work in automated economy. There is a been whole deluge of work on this subject by people like Tyler Cowen, and they all seem to agree that 10 - 20% of the population will be employable while everybody else will be rendered superfluous as zero marginal product labourers. I buy this general argument. Automation is not a complement for people on the lower end of the cognitive ability curve; it's a substitute. I just don't see how a good society can exist that enables the poor or the disadvantaged to languish while a small group enjoy immense prosperity. 2.) I agree with you about taxation being the biggest impediment to any feasible UBI. As it stands, there seems to be no good reason to believe the wealthy or those who will benefit from the imagined future will consent to such burdensome taxation, especially given that they'll increasingly enjoy greater influence as a result of their economic ascendance. Even a tax proposal that the wealthy might consent to will almost certainly produce the disincentives you mention. It's all rather dreary to contemplate if you ask me. Regarding the first point, I think the key point is the perception of earning the income. Aristocrats living off their rent income seem to have been able to enjoy fairly meaningful lives fishin and huntin etc. Similarly, a lot of retired people living off superannuation pursue hobbies that help make their lives meaningful. Pensioners are able to claim that during their working life they contributed to the pensions of the previous generation. However, a lifetime on a UBI would be like a lifetime on the dole. Tyler Cowan is probably right in his recent assertion that even if robots are only as disruptive as the industrial revolution, a lot of people will still have their lives disrupted. (That is probably a garbled account of what he wrote, but I can't think where I read it at the moment.) I think it is better to help people of working age to adjust so they can earn a living - more effective help with retraining - rather than to give everyone a UBI. We are in agreement on your second point. The solution may lie in pursuit of policies that require less government spending. I think the fundamental problem (at least as I understand it) is that, even with the best possible retraining programs, you wont be able to achieve much in the way of helping the worst affected members of society. The two big factors at play are intelligence (roughly measured by IQ) and personality characteristics (conscientiousness mostly). Conscientiousness is somewhat malleable, so there is some hope there. But intelligence is more or less fixed and it has the largest impact on life outcomes. As the complexity of society increases, the premium on intelligence will increase as well. In other words, we're in a bind. Even if there is the potential for rearrangement (i.e. even if we accept Cowen's argument that this transformation will only be as dramatic as the industrial revolution of the 19th century), the major obstacle is the people themselves. The kinds of jobs that will be lucrative will simply be beyond the means of the individuals affected most by this ongoing upheaval. You raise good points, but. I doubt whether we are in a bind. There are many services that people will prefer to have performed by humans rather than robots even after robots will be capable of performing them. Good piece! But I consider you needn't worry about the excess burden of a land tax. I've never seen a study of land tax which doesn't show it to have little or no deadweight. It's certainly a lot better than the current mess we have which I've assessed has cost us some $2.34 for every dollar of 'revenue' raised since the 1970s - see http://thedepression.org.au/why-economies-are-failing/ Again, a very nice analysis!